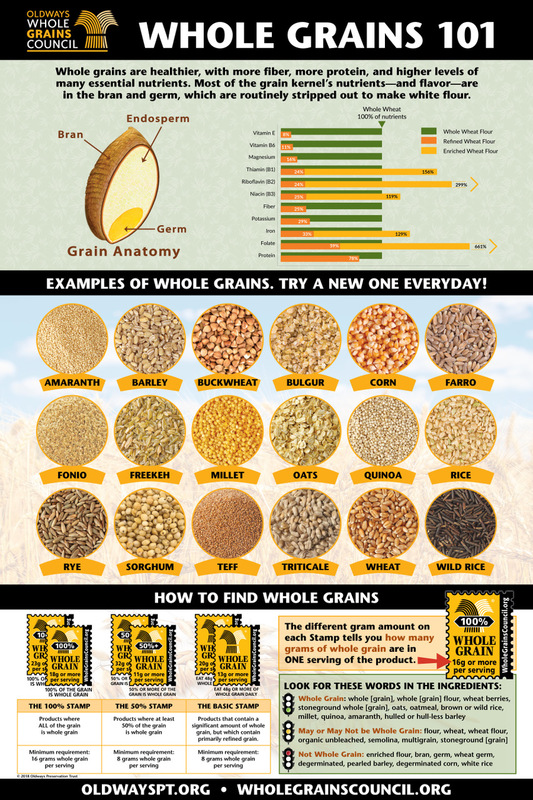 Everything you need to identify and enjoy whole grains packaged into one beautiful and full-color poster. Understand the 3 parts of a whole grain with our grain anatomy graphic, and make shopping a breeze with our visual and easy-to-follow Whole Grain Stamp guide. Whole grain enthusiasts and beginners alike will be tempted to try a new grain every day! Discounts are available for purchases of 10 or more posters, and appear automatically during the checkout process. To purchase, please visit the Oldways store by clicking the link below.